Have you had a look at your roof recently? Summer can cause damage to your roof in several ways, from cracked shingles to water damage. You’ll want to address these problems before the weather turns cold, since roofing issues can ultimately lead to ice dams in the winter. 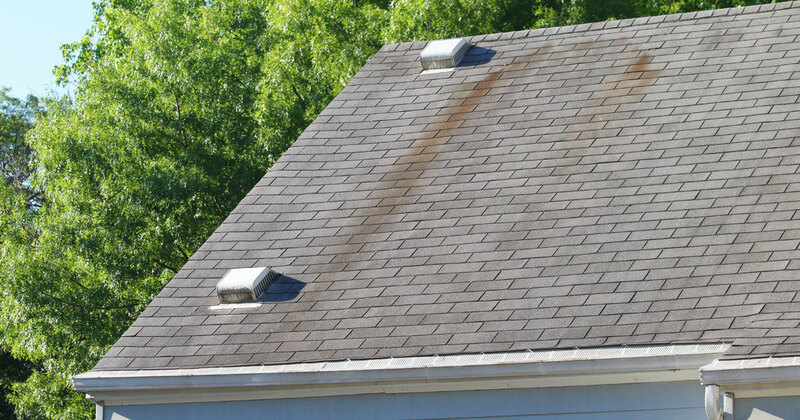 It was a hot summer here in Cleveland, and the sun may have caused damage to your roof. While it’s true that your roof can handle a lot from the elements, the sun will eventually break down the shingles on your roof. When your roof is exposed to high heat, you’ll typically find signs such as warping or curling shingles. A roofing professional can help you determine if these shingles can be repaired, or if roof replacement is in your near future. While humidity and roof damage may not seem like an obvious connection, the truth is that high humidity can result in costly issues. The primary problem with humidity is that it can make existing leaks in your roof even worse than before. It can allow extra water into your home and result in excessive water damage. Don’t forget that humidity can be a serious problem for your attic. When your attic isn’t properly ventilated and your roof is leaking, you might discover the unpleasant surprise of mold growth. Humidity can also cause other issues, such as algae growth. Algae can create the appearance of unsightly black streaks on your roof, which will dramatically decrease your home’s curb appeal. Thunderstorms can also take their toll on your roof. 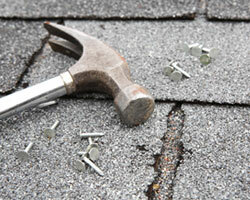 When severe storms move into the area, this can result in damage such as cracking and breaking of the shingles. Furthermore, strong winds can also pull shingles right off of your roof. If you have a metal roof, you may notice damage such as denting or heavy rust. Whether your roof is metal or asphalt, fall maintenance is critical to the performance of your roofing system. Whether we like it or not, winter is right around the corner. It’s smart to stay on top of roofing damage and repair or replace before winter. This will prevent issues such as ice dams and even more water damage from melting snow. Energy efficient roofing can help keep your home more comfortable during inclement weather and protect your home throughout the season. Learn more about our energy efficient roofing by exploring our roofing products from Owens Corning.